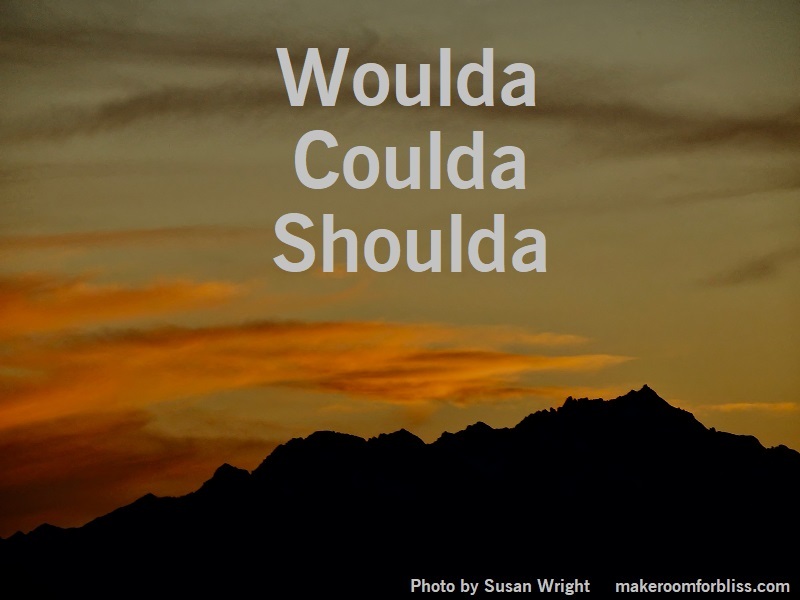 Woulda, Coulda, Shoulda – stop letting these three words drive you crazy. Banish them from your vocabulary. You do the best you can with the information you have at that moment; when you know better, you do better. It helps no one to second guess what you have done. It doesn’t change what happened, and it won’t change what happens next. So be sure to do your best at all times, keep looking forward, and banish these words from your life.